Process, Your Business is Optimized. Supply Chain Finance (SCF) is a Short Term Working Capital finance to DEALERS/ SUPPLIERS (“Spoke”) having business relationships with LARGE CORPORATE (“Anchor”) to optimise working capital requirements of both Spoke & Anchor. 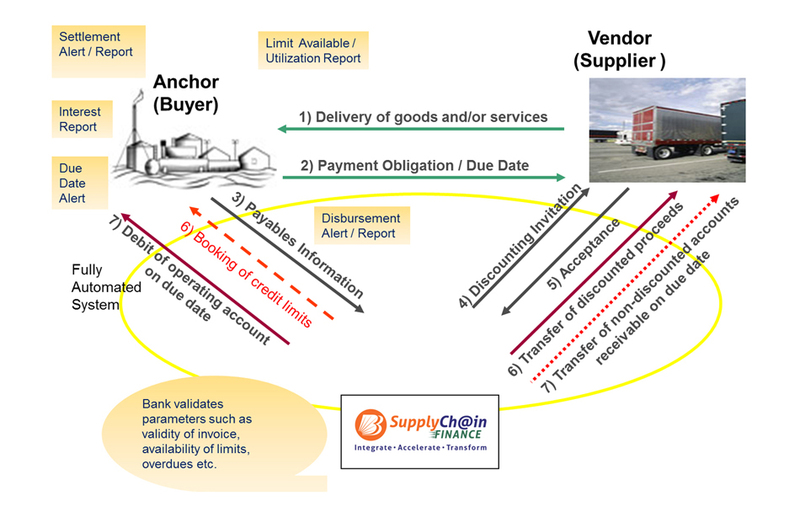 Supply Chain Finance is a fine blend of Bill Discounting & Overdraft product with the essence to optimize finance & flexibility for the customer. All transactions are linked to a base document (Invoice) between the Anchor & the Spoke. An INTEGRATED finance solution for our Customer’s business which ensures that dealers / suppliers and large corporates always have working capital when they need it the most. Fastest & completely digital system, every feature of our product has been designed to ACCELERATE Customer’s business giving it a cutting edge over others. Our best in class Supply Chain Finance platform optimizes your business synergies and nurtures relationships with your Vendors & Dealers to TRANSFORM your business for the next big leap. Working Capital Credit Limits for selected dealers of large corporates enabling them to avail short term financing for procurement of inventory from large corporates. The Dealer (spoke) raises a purchase order requesting a consignment of goods and forwards it to the supplier. 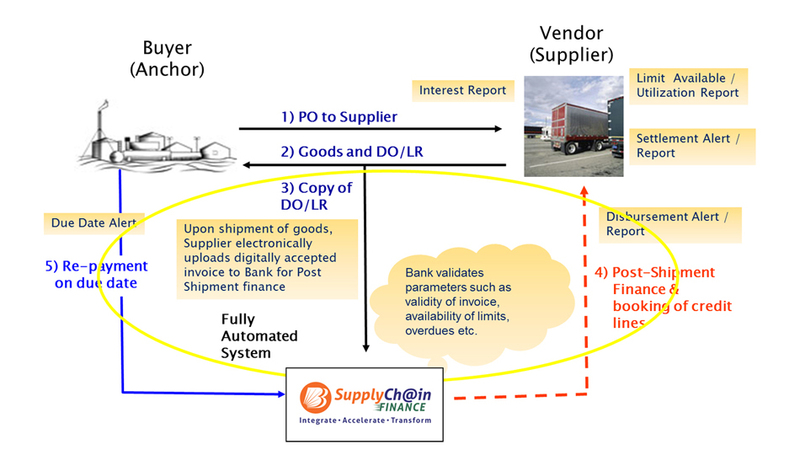 The Supplier (anchor) ships the goods consignment and initiates the request for finance by uploading the invoices electronically on the supply chain finance platform. 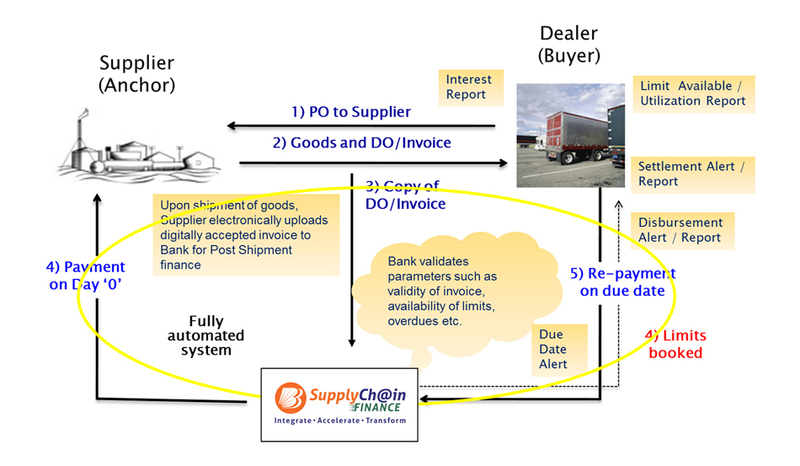 Once the invoices are electronically accepted by the Dealer (spoke), validation of the transaction for parameters like availability of credit limit, validity of invoice, overdue position etc is digitally verified by the Supply Chain Finance system. On successful validation, finance is instantaneously created by the system and disbursement is credited in to the Supplier’s (anchor’s) account. On the due date the Dealer (Spoke) liquidates the outstanding invoice amount. The entire process is fully automated and featured with real time e-alerts and e-reports sent to the clients at each leg of the transaction. Working Capital Facility for Vendors of large corporates to access quicker realization of Bills and invoices accepted by large corporates to optimize their working capital cycles. The Buyer (anchor) raises a purchase order requesting a consignment of goods and forwards it to the supplier. The Vendor (spoke) ships the goods consignment and initiates the request for finance by uploading the invoices electronically on the supply chain finance platform. Once the invoices are electronically accepted by the Buyer (anchor), validation of the transaction for parameters like availability of credit limit, validity of invoice, overdue position etc. is digitally verified by the Supply Chain Finance system. On successful validation, finance is instantaneously created by the system and disbursement is credited in to Vendor’s (spoke’s) account. On the due date the Vendor’s (spoke’s) liquidates the outstanding invoice amount. 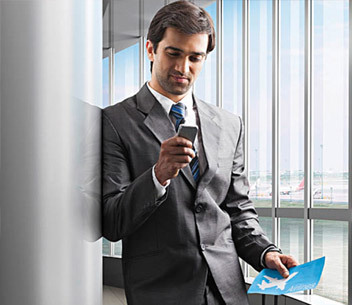 The entire process is fully automated and featured with real time e-alerts and e-reports sent to the clients at each leg of the transaction. 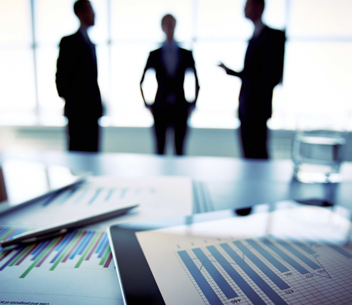 Working Capital Limits for Large Corporates to make payments to their vendors. 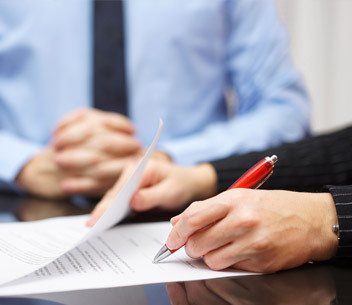 The Buyer (anchor) raises a purchase order requesting a consignment of goods and forwards it to the supplier. The Vendor (spoke) ships the goods consignment and initiates the request for finance by uploading the invoices electronically on the supply chain finance platform. Once the invoices are electronically accepted by the Buyer (anchor), validation of the transaction for parameters like availability of credit limit, validity of invoice, overdue position etc. is digitally verified by the Supply Chain Finance system. On successful validation, finance is instantaneously created by the system and disbursement is credited in to Vendor’s (spoke’s) account. On the due date the Buyer’s (anchor’s) liquidates the outstanding invoice amount. The entire process is fully automated and featured with real time e-alerts and e-reports sent to the clients at each leg of the transaction.